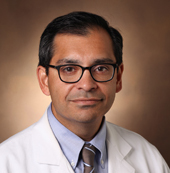 Vanderbilt University Medical Center (VUMC) is home to the second busiest heart transplant program in the country, according to the most recent data released by the Organ Procurement and Transplant Network (OPTN). Ranked No. 1 in the Southeast region for volume for its combined adult and pediatric procedures, this marks the second consecutive year that VUMC’s program held its national ranking. In 2016, the program performed a record number of adult heart transplants at 77. The overall program, which includes pediatric cases, saw a record 92 transplantations in 2016. Shah applauded not only the heart transplant team, but also commended the left ventricular assist device (LVAD) team as well as those in the operating rooms and intensive care units for being an integral part of the program’s success. “The infrastructure of our program has evolved to be able to manage our most challenging cases, which include complex patients and unconventional donors,” Shah said. “Our program is exploring how to improve transplantation. We are committed to ensuring that we are on the cutting edge of advancements while improving the quality of service and care that we provide our patients and their families on a multidisciplinary level. In 2015, the OPTN reported a record 65 adult and pediatric heart transplants performed, while 2014 saw 43 total transplantations. While the number of cases speaks volumes for the 32-year-old program, Shah said he wants to focus on the next steps — long-term survival rates, which have not seen much progress over the last 20 years. “Much of the improvements in outcomes have come in the first year of survival,” he said. “Although we continue to improve our ability to perform transplants and overcome surgical barriers, the next real advance in heart transplantation will come as we help to improve long-term outcomes. Liver transplant program ranked among top in U.S.